They are an institution in Poland, although you wouldn’t know it. When we’ve asked for the nearest bar mleczny or told locals that we had previously visited a few across the country, they are usually taken aback at our question or statement. But then their puzzlement in turn puzzles me, as while they may not consider visiting a bar mleczny as a valued tourist experience, I believe that it is the one thing that every tourist should absolutely do. The facades are nondescript, the interiors are simple and void of any panache. The menu boards are spread across a wall near the counter – those items that are available have a price beside them, but some do not. If we’re lucky, an English menu will be available at the till. A grim older lady will take our money and another, her head peering in the space of a small gap in the wall lined with a counter, will glance at the receipt and begin to fill it. Sometimes orders are barked behind the scenes, and our dinner plates are quickly filled. Those creating the food are not chefs, but cooks. This is traditional Polish food as good as any you’d find in a traditional Polish house. And while none of the dishes are particularly pretty to look at, they are all delicious. 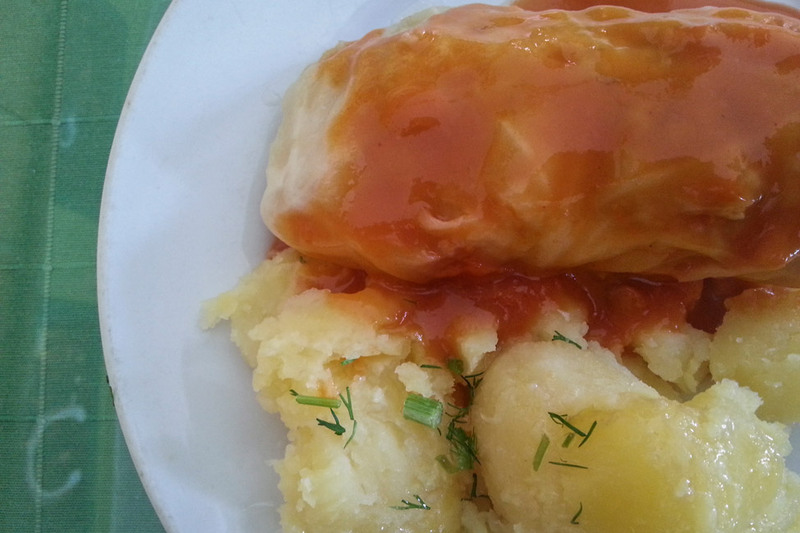 Gołąbki – cabbage rolls stuffed with rice and meat, smothered in tomato sauce and served with potatoes. 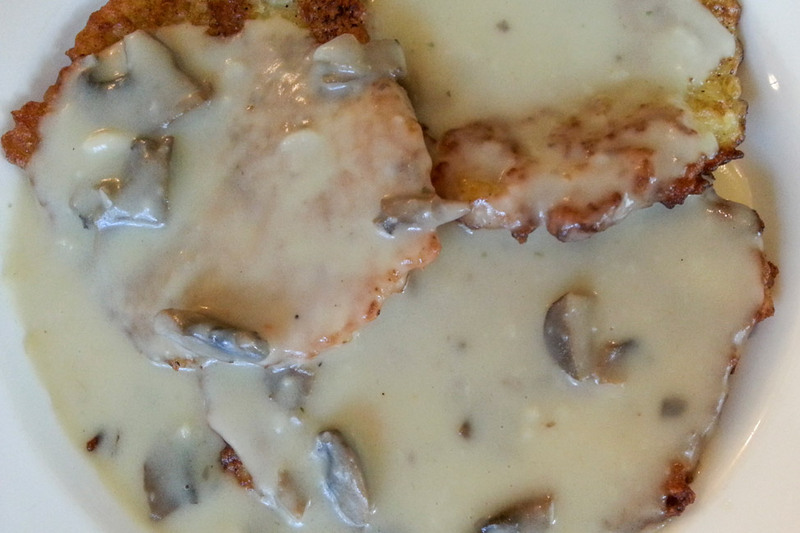 Placki ziemniaczane – potato pancakes served with mushroom sauce, one of many available varieties. 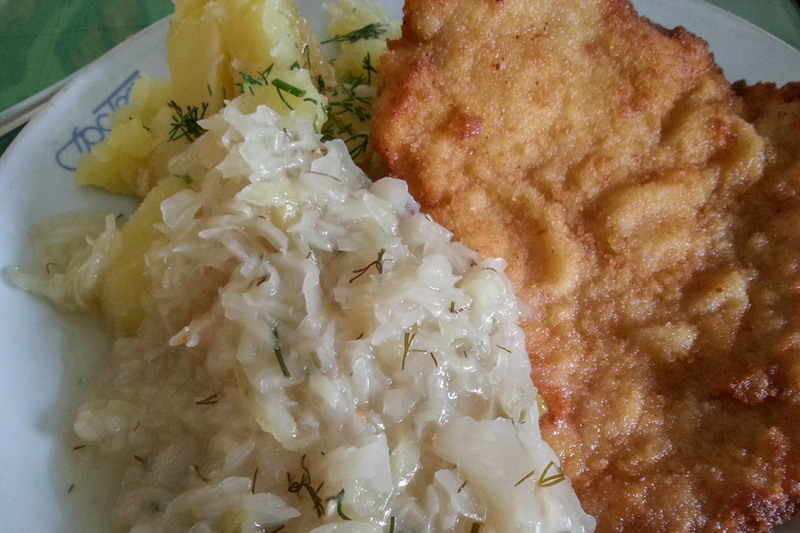 Kotlet schabowy – A pork cutlet with potatoes and cabbage with dill. 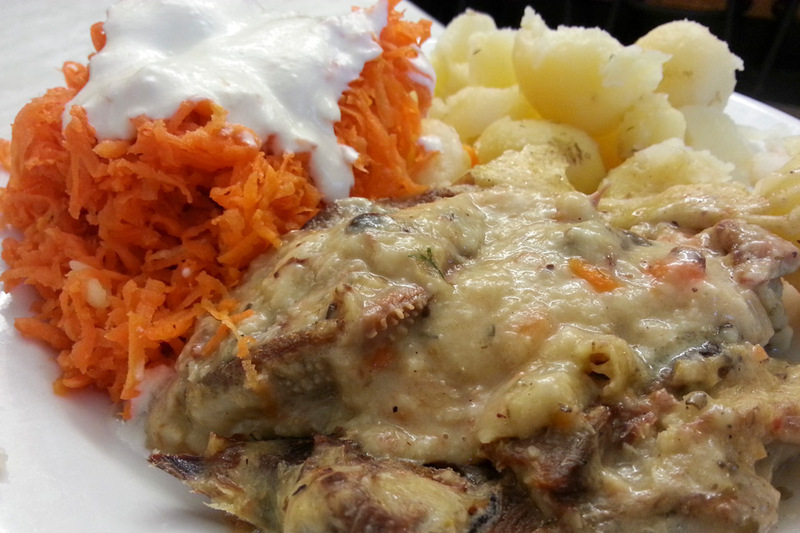 Ozor na szaro – Beef tongue in horseradish sauce, served with carrot salad and potatoes. The bar mleczny, which translates directly as “milk bar”, gained popularity after the Second World War as a place to go for cheap but nourishing food. At that time, communism had taken over and the majority of the population was poor and milk bars became subsidized by the state. The food is still incredibly inexpensive – the average meal costs approximately $4 and the portions are generous. As such they have become popular among students, the elderly and working class, although the large cities only have a handful of milk bars left. Eating is a quiet affair and it feels awkward to consider engaging in any kind of gregarious conversation as we would in another setting – most patrons have their heads down and silently consume their food. Customers are expected to stack their own plates and take them to the counter before leaving. 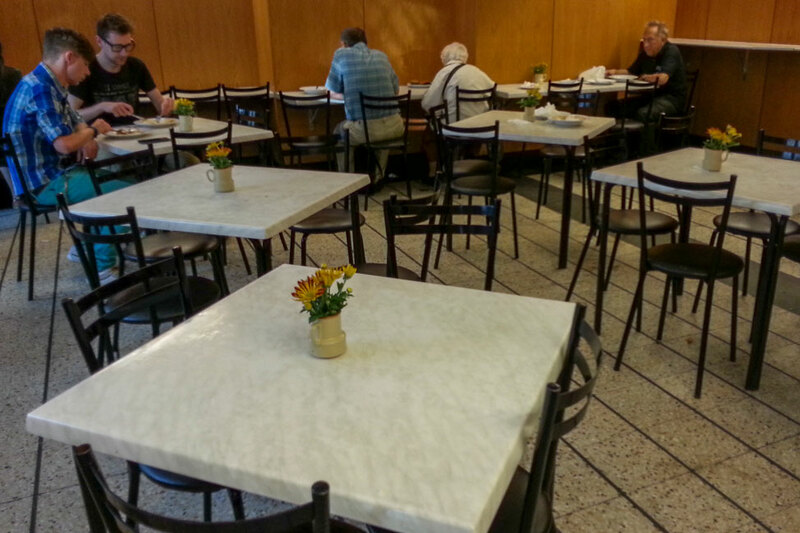 There is no loitering for after-dinner coffee or drinks, it is solely a place to eat and move on. And a place to return to the next day, not only for the cheap, wholesome food but the austere atmosphere that feels like a complete throwback to a more moderate time. That is an experience onto itself. Mid-range The Royal Route Residence apartments offer a different option to hotel stays in Warsaw. The apartments are centrally located and come with a kitchen and living space. Budget The Ibis Budget Warszawa Centrum is located a bit outside the city center, but is near public transportation options. 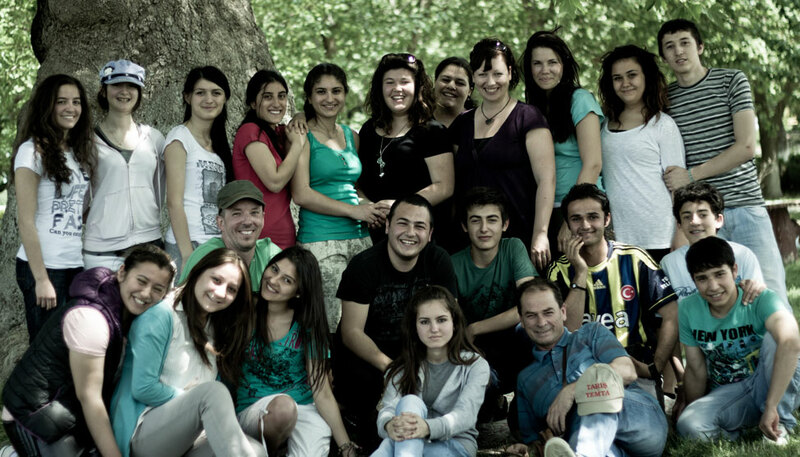 The rooms are comfortable and clean, and breakfast is offered! 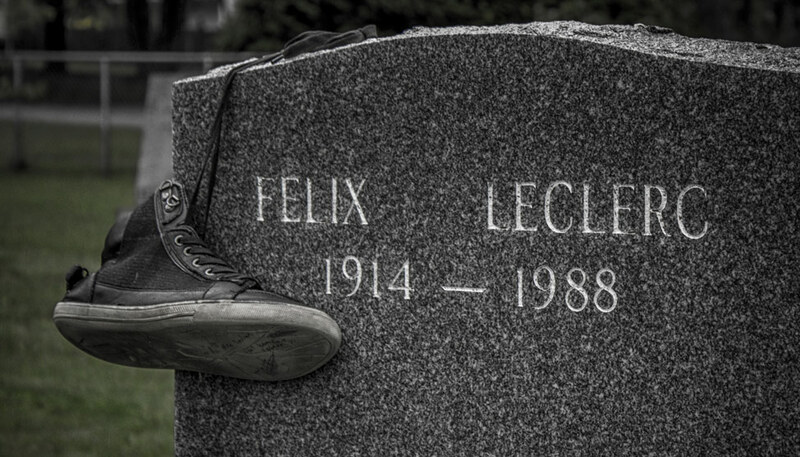 In homage to Felix Leclerc. 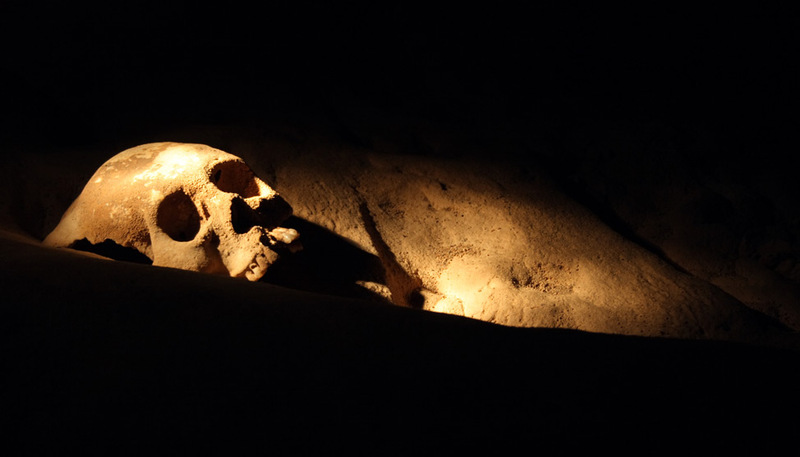 Inside the "Cave of the Stone Tomb". Love these! 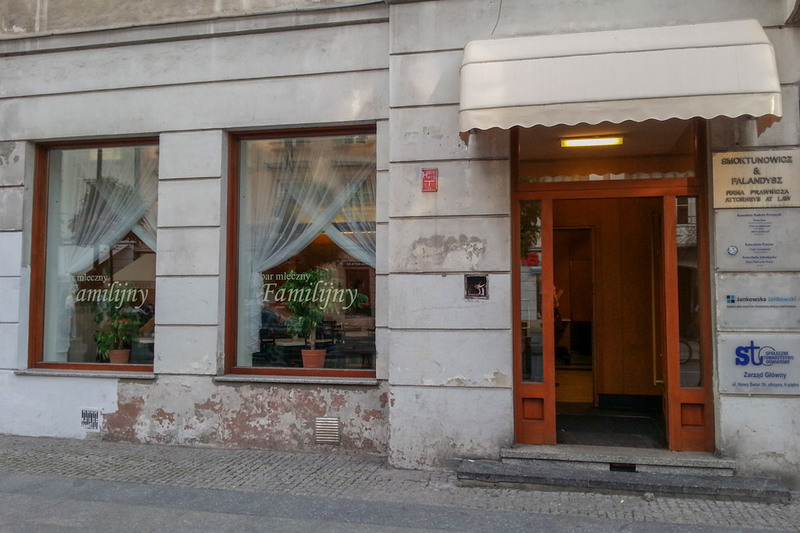 Visited one in Gdansk the other day and went to one in Warsaw with some friends who live there and go there for lunch! I wonder if we went to the same on in Gdansk?! So delicious! Ah I didn’t have the time to visit one of these while I was in Warsaw, but I heard about them. Thanks for the fantastic explanation – quite interesting that the concept still exists today. It’s a concept that is dying, unfortunately, but a bit of nostalgia is boosting it back up. I hope it survives! There are plenty of veggie options – you would eat well in Poland, Arti! I rarely comment on the travel blogs I read (I love yours!) since I’m not traveling all over the world now, but I just had to say how much I loved this post. I went to a Milk Bar in Krakow after asking a local for a suggestion for lunch with friends. We spent forever looking for it, but it was one of the best meals there. Like eating in the kitchen of a Polish family. I also got gotabki because I had tasted it once before at home, and was very happy. I’m glad you persevered and found it! I think our best meals have come from there too. A new item on my bucket list (seriously). Thanks for sharing! The naleśniki do look especially good! I never went to one of these in Poland, but they have something similar in Czech Republic. There’s a good one in Prague I’ve been to a few times (can’t remember the name), right in the touristy part of town, but full of locals. These are the kind of eateries I crave as a long term traveller: going to fancy or touristy restaurants all the time really becomes tiresome (and of course expensive)! Exactly Sam! I can only eat so many different kinds of pizza. 🙂 We’re so happy to find these kinds of things along the way as well. The food looks amazing! I’d be ordering one of each! Without a doubt, this is some of the best looking Polish food I’ve ever seen! I’d definitely be curious to visit Poland, but to be honest, all of the food pictures I had seen coming out of that country had been a real turnoff… your post has given me hope that the food can look better than I expected and that it likely tastes even better! And we haven’t even started talking about the pierogies yet! The food is so fresh and delicious, I don’t think you’d be disappointed. I literally just woke up and now I’m hungry! I spent a night at the Warsaw airport, which of course doesn’t really count. Looking forward to making it out of the airport next time! Yum!! I actually really like Polish food thanks to my grandma, but I’ve never been over there. I would definitely try these milk bars though! Interesting concept! Rika | Cubicle Throwdown recently posted..10 things to do in Vancouver, BC if you’re kind of broke but really awesome. Milk Bars sound like a great find, but I can’t help thinking of the novel and movie Clockwork Orange in which milk bars were a bit more sinister. $4 for those portions… in Europe?! Incredible. So gooood! Just honest, homecooked food – what more do you need? 🙂 Happy to hear you enjoyed! Ooh this looks great, would love to try out one of these famous milk bars when I’m in Warsaw soon – is there any particular one that’s a favourite & what vegetarian options would you recommend? Interesting and unexpected post with a historical twist! The milk bar comes to life when you consider their value post war and the fact that they are now slowly disappearing. Sounds good! I’m not sure I could handle all the cabbage, but some of the other food looks delicious. Ali recently posted..300 Posts and Where Am I Going? Now I am even more excited to be going to Poland soon– will likely have the majority of my meals in these places, since it’s always the last thing you order that ends up being the best! Definitely going to be trying milk bars when I go to Poland next week. 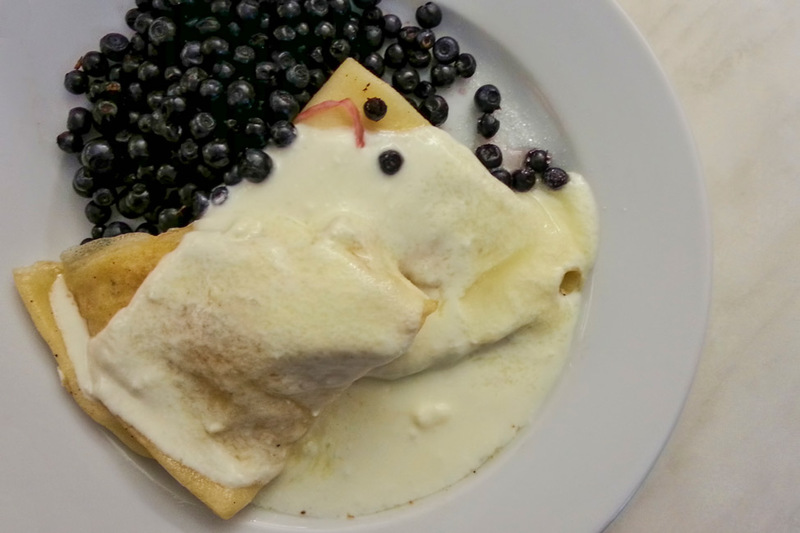 The blueberry crepes look yummy. Did you see many vegetarian options on the menus? That’s a relief, I’m so glad! 🙂 It makes travelling so much easier. Ah, the bar mleczny! That phrase brings so many memories! Great post! I’m pinning it to my “Poland” board. Great post! I ended up following a Polish person I met in Belgrade back to Krakow and Warsaw and we stopped into a few of these during my week there – so glad we did. I still dream of the zurek soup we had. So cheap and so delicious – just like the pijalnia bars at night!